Somebody got inspired to draw me and the mama-san of Yaburegasa on a chopstick paper sleeve. 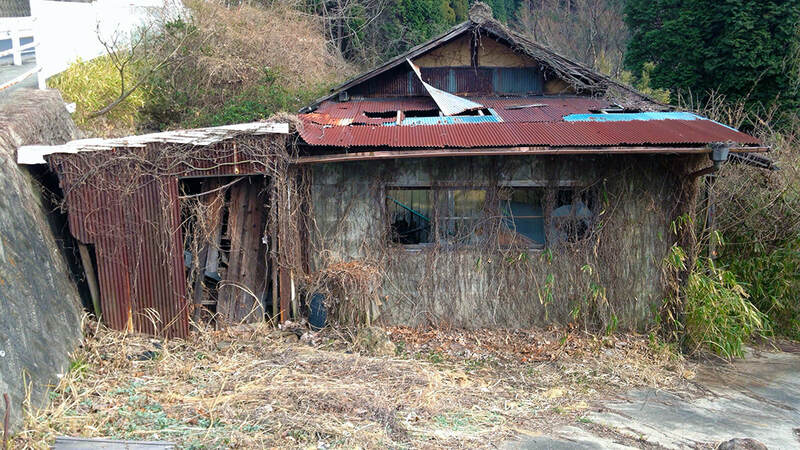 ​This story is the first of two parts about a foreigner moving to a rural town in Japan. The famous, incredibly cheap Tokyo pub Vampire - now torn down like all the rest of the Musashikoyama entertainment quarters. The first time I set foot in Tokyo, back in 1986, the mega city took me by storm. I had seen huge cities before - Kairo, Paris, London - and those had impressed, but this was something completely different. It was a strange blend of alien and exotic Asian qualities with the modern, high-tech, high standard life of a Western metropolis. For some reason, I remember my first visit to a Shakey's pizza joint in Tokyo. To me, it was a new experience as the little pizza shops in the rural town in Sweden where I grew up were tiny, run by Yugoslavs, and had more of a bakery feel to them. The Tokyo Shakey's was huge, dynamic, full of energy and the chatter of Japanese kids. There were also pretty Japanese girls taking orders at the counter. Tokyo is like that - Japanese people everywhere. I was amazed by their numbers. Where did they all come from? It took until 1989 before I was back again. The plan was to leave after a year, but it didn't happen until 2015. By that time, I had seen a lot, met thousands of people, and made dozens of friends. I had experienced life in a charming part of the capital - a town called Musashikoyama - which was once full of bordellos serving the American troops in occupied Japan. It still had a flavour of cosy sleaziness that I really enjoyed. It used to be home to the headquarters of a Yakuza clan. Those days were gone by the time I arrived, but you still had to be careful about certain so-called "catch bars" that would happily pad your bills. I kind of liked that mild feeling of danger in the old, run down entertainment quarters there. My memories of a band of small cockroaches from those days are strangely tinged with melancholy. They scurried back and forth across the counter at the Vampire - a small standing pub said to be Tokyo's cheapest at the time. Roaches - at least the tiny fellows that inhabited the Vampire - can add a certain element of, how can I put it, rustic untidiness, perhaps? Of not being overly clean and orderly. The ones at the Vampire limited themselves to very quick raids across the counter. They give these old places a "lived-in" feel, like a bit of dirt on an old sofa can add a sense of humanity in a strange kind of way. I liked stepping into the little water holes that lined the winding, narrow alleys of Musashikoyama. Some of the little establishments opened at eleven in the night and were run by characters such as a retired pro-wrestler, a Yakuza's mistress, or an impossibly old, witch-like woman that should be dead but had somehow defeated the laws of Nature. It was a weird and wonderful place, but now Musashikoyama is gone, flattened by bulldozers. High-rise apartment buildings are being erected on the grounds where so many cheap shōchū bottles have been emptied since the War ended. It's like that in most parts of Tokyo these days. The old is being replaced by the ultra modern and it is all very boring. After more than two decades in the city, Tokyo was beginning to wear me down. The high cost of living, the cramp spaces, the crowds, the jam-packed trains, all those things can make you very, very tired. But most of all it was the city losing its personality that finally convinced me to leave. When they decided to tear down Musashikoyama, we made up our minds to move to the countryside, to my wife's hometown - Tajimi. Today I can tell you that it was one of the best things I have ever done. For the first few months we stayed in my in-laws home in Kasahara. They operate a stone masonry company, so the house is surrounded by stone slabs. 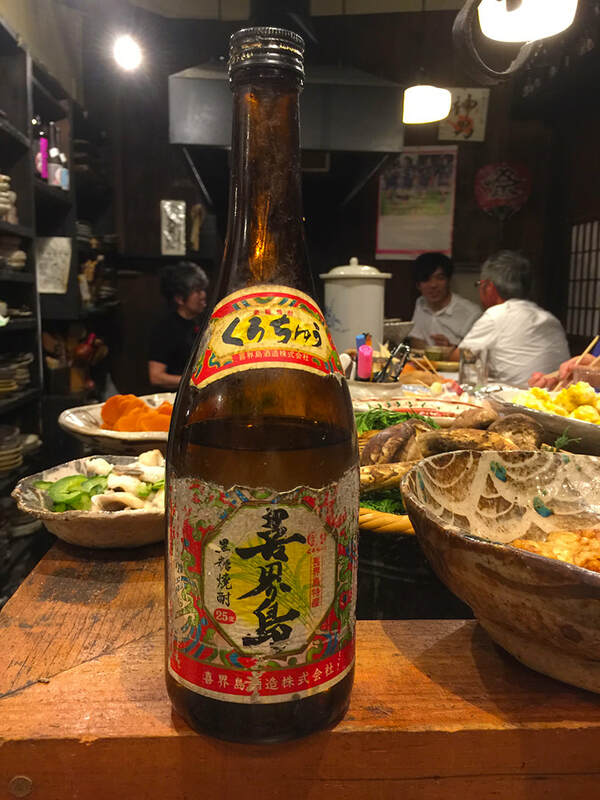 ​I got off to a shaky start in Tajimi. Thanks to my in-laws, who kindly let us borrow a room in their house in Kasahara, we had a roof over our heads and food on the table every day, but my writing jobs started to dwindle. 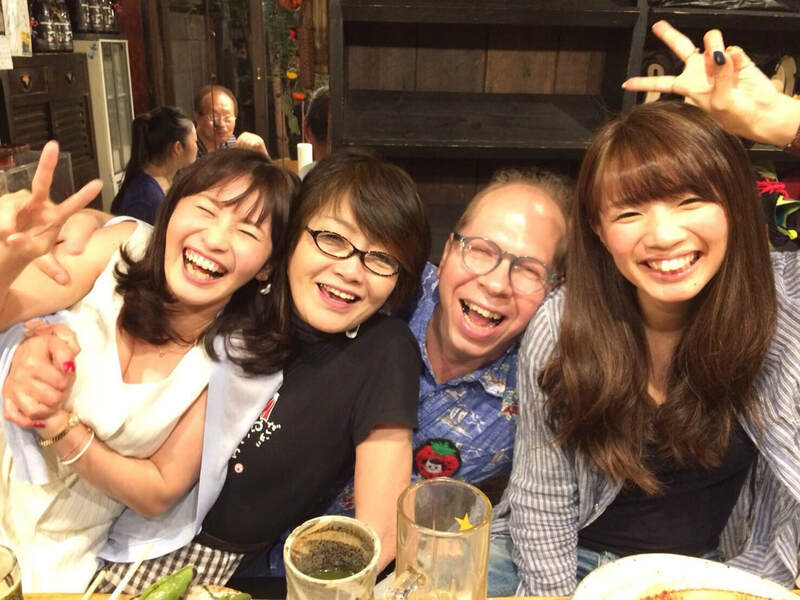 Over the last years, I had written for foreign magazines, but there was a clear trend away from hiring freelance foreign correspondents to letting in-house staff cover international stories, and there were definitely no writing positions for me in Tajimi. Tajimi is hardly tiny, with a population of 100,000, but the main local industries are pottery and tile making, and I definitely had no skills in any of those areas. The clay in the mountains that surround the town is a superb raw material for pottery, so it was quite natural that the area grew into a pottery production centre. 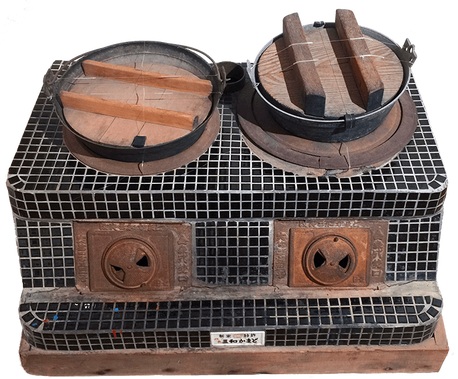 The first kilns were built here at least a thousand years ago. Tiles are sort of a spin-off of that. At the town's heyday, the chimneys of all those kilns reached towards the sky from the mountains around the city, and in the centre itself, there were tradesmen who would take the goods from the potters, have it painted, and sell it all over the country. Those were good days in Tajimi. I have heard many stories about how the town came alive in the pre-war era, how there were streets lined with water holes just like in Musashikoyama, and how, just like in Musashikoyama, there was a red-light district too. The chinaware traders made huge amounts of money and there were cafes everywhere because they needed somewhere to sit down with their clients and do business. This industrial history, unfortunately, created a city where a man who writes for a living is just not sought after. The traders were businessmen and the potters were artisans, and both groups thrived because of the fine clay in the mountains. Publishers, however, have always been few and far between in this town, and even if there were some, they wouldn't have much use for a foreigner. Moving to Tajimi was the final nail in my writing career coffin. My wife's grandfather lives next doors to my in-laws. 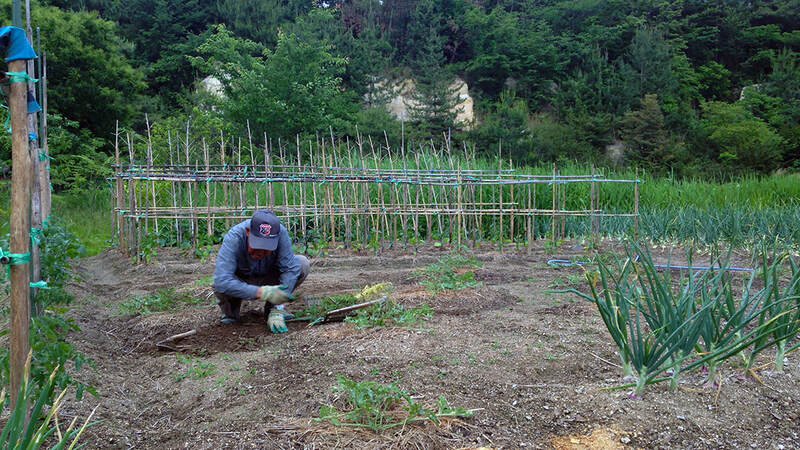 At 93 he still works hard every day in his vegetable garden. Money worries was a big, dark cloud on the horizon, but apart from that, there was also much to enjoy. Tajimi has this interesting mix of industrial buildings, storehouses, greenery, and farming land. Everywhere, people are growing things. And things grow very well, indeed. The climate is harsh, very hot in the summer (the city broke the all-Japan heat record some years ago), and in winter, very cold. We arrived in winter, and even a Swede like myself was cold in the nights - cold enough to feel reluctant to get out of my futon and go to the toilet. When the first summer came, it was hot indeed. But strangely, the heat felt a lot more bearable than in Tokyo, where our tiny Musashikoyama apartment turned into a sauna in the summers. Things grow very fast in the hot and humid climate. This shack was inhabited by an old widow until a few years ago. Now nature is reclaiming it. Many rural towns in Japan face problems - shrinking and ageing populations, industries with outdated technologies, and a sluggish national economy. And that is just the beginning. You can see decay here and there in Tajimi, rusting warehouses in disrepair, factories that are just standing there, looking at you with hollow eyes, empty and quiet. But all is not doom and gloom. I will come back to this in the second segment of this article. In fact, I see great future opportunities for rural towns. But let's get back to where we were: our new life in rural Japan. 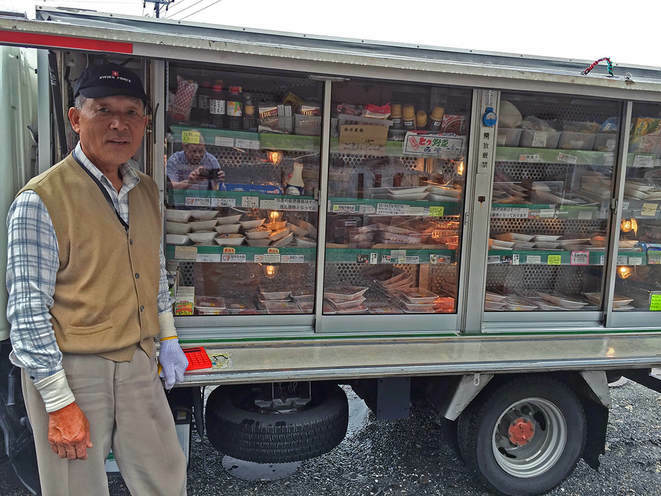 The meat seller comes around to Kasahara every week with his shop on wheels. Oddly, life on the countryside grew quickly on me, not only because nature was so much closer, but also because of greater convenience. There are services here that would be unthinkable in Tokyo, like the so called "daikou taxi". When you want to go home after a night at the pub, two taxi drivers will come around - one to drive you home in your car, another to pick up your stand-in driver afterwards. Mobility is an important part of people's lives here, because of the distance to everything. But once you get wherever you want to go, wider space for shops and services brings the benefit of great convenience and selection. There is simply so much more shelf space. Local tobacco shop in Kasahara. It was fascinating to see the contrast between the impossibly small and ancient shops and pubs in Kasahara and the more centrally located huge stores in Tajimi or the large outlet centre in neighboring Toki City. In Musashikoyama, shops were all within walking distance, but most of them were tiny and expensive. Now we could get into our car and drive to a vast shopping centre downtown. In fact, a population of a hundred thousand seems quite ideal. There are great choices of restaurants here, and a lot of cafes remaining from those days of glory before the war. I began to really enjoy that convenience. Then, finally the long awaited day arrived when we finally could move into our own house. It was a colossal upgrade in quality of life from Tokyo. Not because my in-laws were unpleasant in anyway - quite the contrary. But all the extra space - a rare commodity in Tokyo - was a welcome new luxury. Home appliance store in Tajimi. Shops are often far more spacious than in Tokyo. The house we moved into was great. I had never lived in such a spacious place in Japan before - in Tokyo, it would have been unthinkable. I still had no job, of course, and there was no choice but accepting whatever work was available. I worked for a while as a salaried worker in Nagoya, a big city on the east coast, about half an hour train ride from Tajimi. But after decades as a freelancer, I quickly discovered I am not a company man. Or, rather, shall we say, not a man who can endure working in somebody else's company, to fulfill somebody else's dream. I even spent some time at a local warehouse doing hard labour for a very modest salary, but that was obviously just a temporary solution with no upgrade path in sight, especially at my age. ​Fortunately, we had friends living nearby - an older couple who runs a barbershop, Rikio and Fumi-chan. They are both very nice characters. The good thing about barbershops is that they are natural communication hubs. Rikio introduced me to an old friend who happened to bring the chance I had been waiting for. Rikio Fujimoto - our local barber and information hub - is skilled both with the blade and as a communicator. His and charming wife Fumi-chan's wedding photo is inserted on the right. What happened next? I will tell you that story in the second segment. Meeting Rikio's friend has been a life-changer, and it would also made me realise that life in rural Japan may be a fantastic opportunity for many others, thanks to the new, incredible technologies that make it possible to work and live anywhere we like. Compared to our cramped existence in Tokyo, Tajimi now feels like a small paradise. Next doors we have a beautiful Zen temple (which is not all heavenly - I practiced meditation there once and I still remember how my knees ached). Ducks are swimming in the creek behind the house and a bullfrog honks in the night from time to time. (Update: it seems the frog was flushed away by a flood after a torrential rain some time after this writing). And we can actually see the stars! ​It's a luxury to work - doing very creative work - in such a place, and I look forward to telling you how it became a reality and how it can become your reality too in Part Two. The Eihoji Zen temple offers a serene environment, unlike the crowded, touristy temples you will find in Japan's more well-known travel destinations. Every New Year, the residents of Kasahara in Tajimi gather to greet the new year with a huge bonfire. This story is the first of two parts about a foreigner moving to a rural town in Japan.